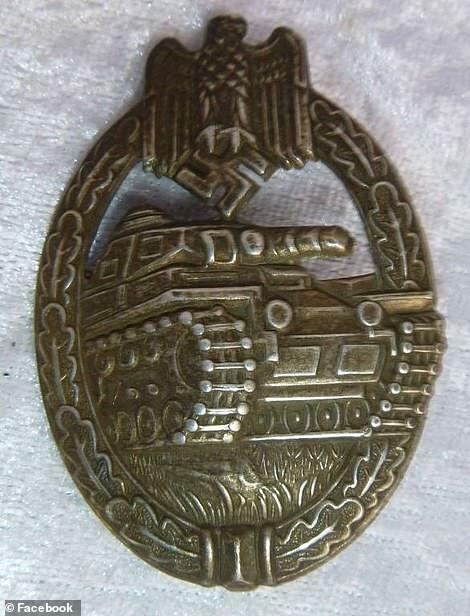 A World War II memorabilia auction that included Nazi medals and a portrait of Hitler has drawn criticism from the Jewish community. 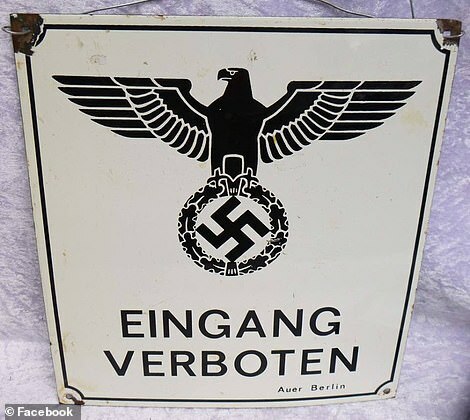 The auction, which was held in Bredbo in south-east New South Wales on Saturday, featured more than a dozen Nazi medals, helmets, jewellery and a portrait of Adolf Hitler. Spokesman for the auction company, David Smith Auctions, Don Mahoney defended the items, saying they formed a small part of a large sale of military items. 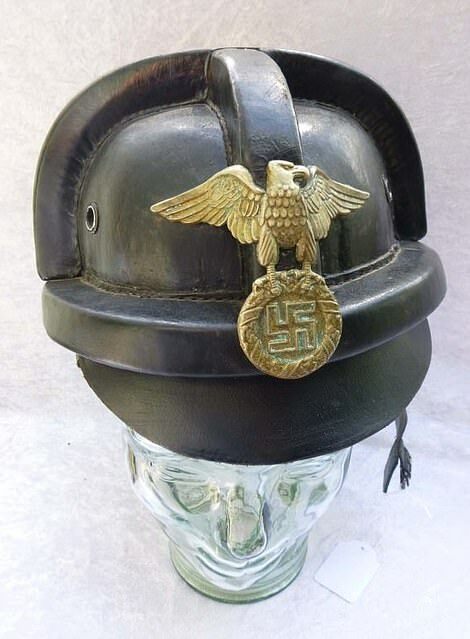 The auction, which was held in Bredbo near Queanbeyan on Saturday, featured more than a dozen Nazi medals, helmets (pictured), jewellery and a portrait of Adolf Hitler himself. Mr Mahoney said some Australian politicians were even known to be keen collectors of Nazi memorabilia. ‘I can’t mention names, but you would be shocked. I have sold Nazi memorabilia to solicitors, bank managers, accountants, politicians over the years,’ he said. But NSW Jewish Board of Deputies chief executive Viv Alhadeff questioned why the items needed to be auctioned off. ‘The Nazis were pure evil and grotesque,’ Mr Alhadeff said. 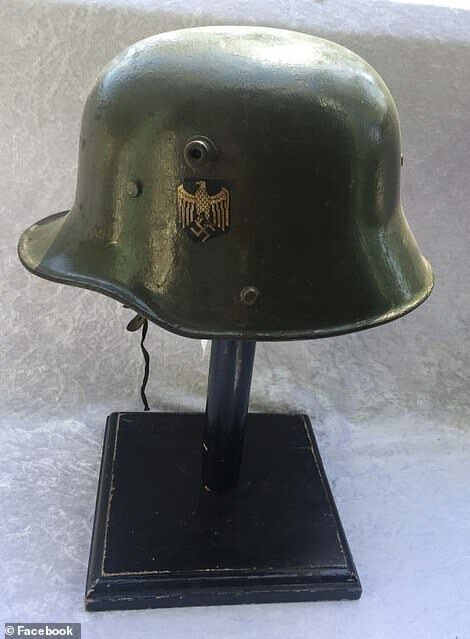 Among the items up for auction was an Imperial German WWI helmet with Nazi decals, its original liner and strap rivets still remaining, which was predicted to fetch between $595 and $750. 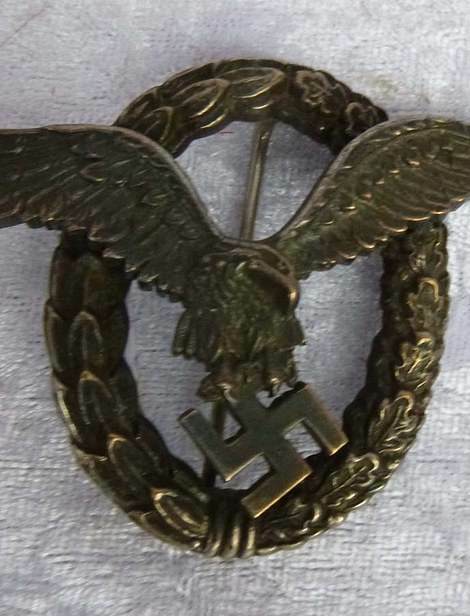 A cased dagger along with a photo of a Third Reich officer, enamel badges, skull and crossbones badges, and various arm bands and patches was expected to bring between $575 and $650. 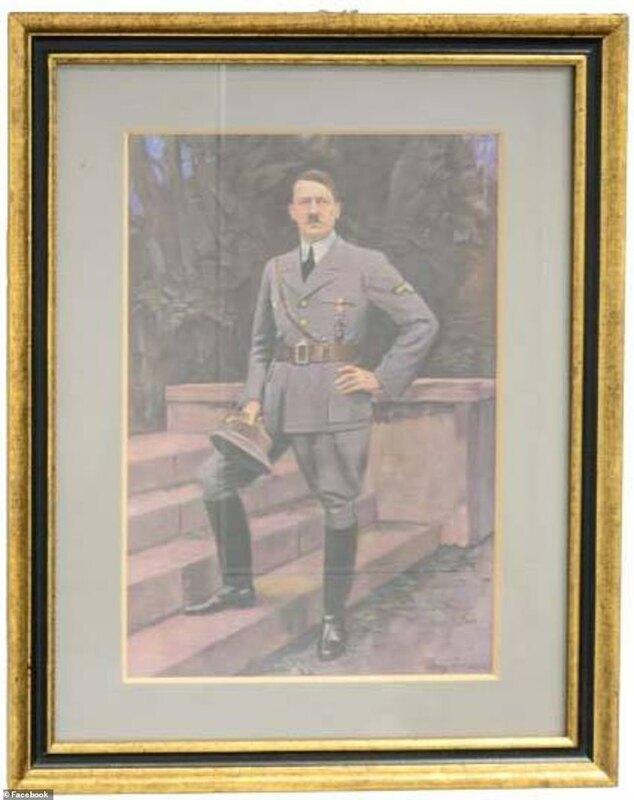 Another WWII item was a signed and framed watercolour painting of Adolf Hitler in full military dress uniform, wearing an open-claw officer’s belt, which was estimated to fetch between $375 and $495. But according to the website, one of the more pricey items was a German Third Reich army bayonet engraved with the words ‘Zur Erinnerung An Mein Dienstzeil’, which was expected to bring between $2,400 and $2,995. Mr Mahoney said the items formed part of history, and he didn’t believe they were bought by current neo-Nazis. ‘It’s terrible what happened to the Jewish people, absolutely shocking, but it happened in Europe, I’m fifth generation Australian, I care what happened to Australians,’ he said. ‘The people who I tend to find hype it up, which is pretty sad, I find it’s nearly always Jewish people. The NSW National Party recently expelled about 20 young members amid an investigation into the infiltration of neo-Nazis into the organisation. 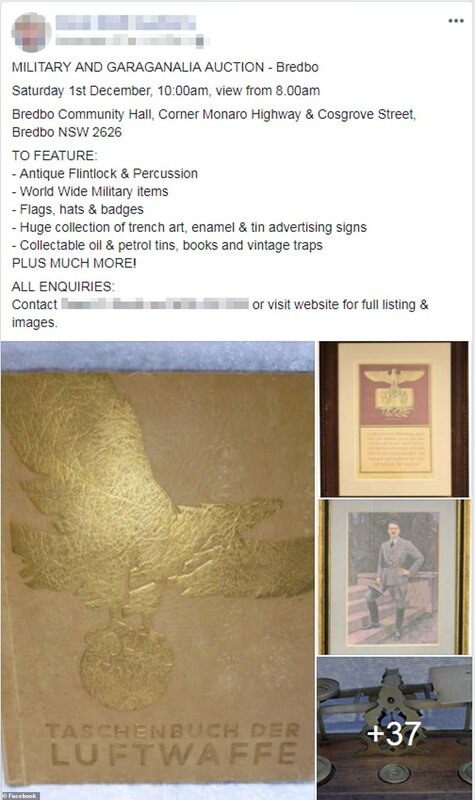 Anti-Defamation Commission chairman Dvir Abramovich said the sale of the Nazi memorabilia was outrageous. ‘At a time when white supremacist and neo-Nazi groups, and racist violence are on the rise in Australia, this auction is particularly disturbing,’ Dr Abramovich said. 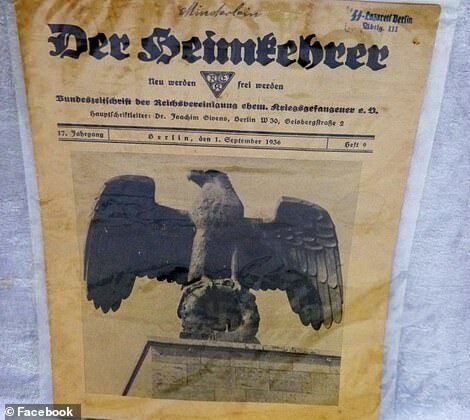 A public post featuring photographs of the Nazi items on Facebook drew both interest and criticism. ‘Anyone who would want the Nazi rubbish should seriously look at their morals,’ one person wrote. 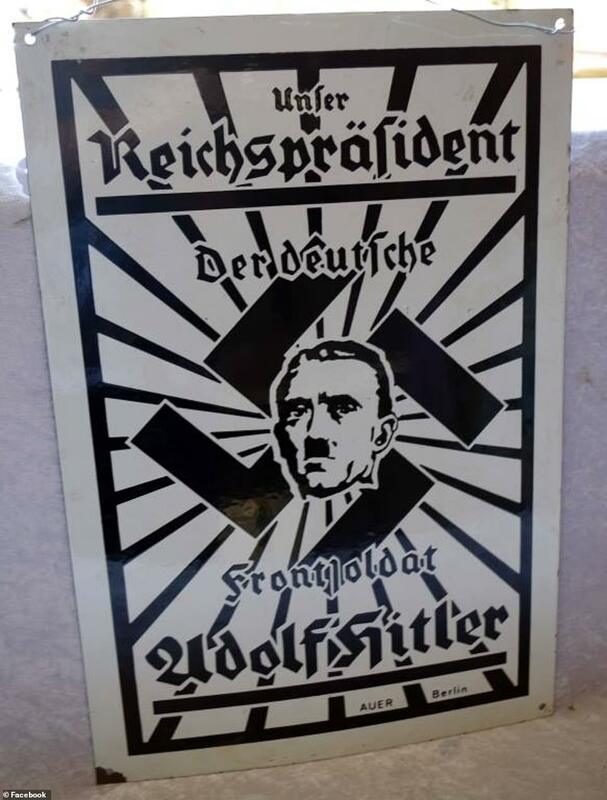 ‘Third Reich items should be destroyed. Glorifying an evil regime that poisoned many with its ideology,’ another person said.